In 2015, Basehor-Linwood finished 6-5 in coach Rod Stallbaumer’s first year. The Bobcats tallied 35 points a contest but permitted 25 in its 4-2-5 defensive scheme. After the year, Bashor-Linwood evaluated the personnel. The Bobcats went to William Jewell College, a nearby Division II school on the Missouri side, and researched the 3-4 look. Basehor-Linwood installed the scheme for ’16, finished 11-1 and reached the Class 4A, Division I semifinals for the best year in school annals. The Bobcats had an average score of 43-16 and lost only to three-time defending state champion Bishop Miege. The Bobcats opened 2017 with four straight shutouts and became the state’s last team to allow a point in a 33-21 home loss to Bonner Springs in Week 5. Since then, the Bobcats are 3-0 and have shutout its last two opponents. Basehor-Linwood has an average score of 42-6. Its 46 points permitted are the fewest in Kansas 11-man football. Last year, the Bobcats forced 32 turnovers and averaged eight tackles for loss a game. Bashor-Linwood returned seven players in the front seven and has tallied 20 turnovers with nine TFLs a contest. The Bobcats have often corralled opponents into second- and third-and-long situations. On Friday, the Bobcats will travel rival Tonganoxie in a Class 4A, Division I, District 2 matchup that will decide both playoff berths and the Kaw Valley League title. The teams are separated by just seven miles on Highway 24. 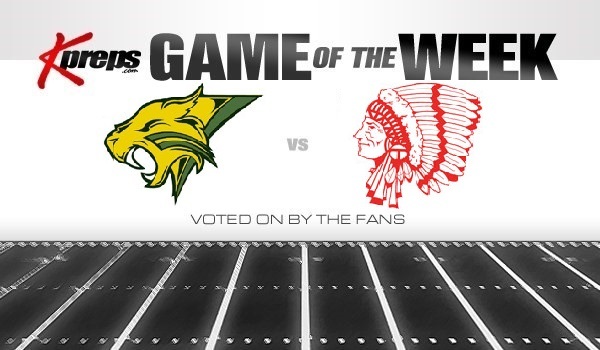 Basehor-Linwood is 7-1, 2-0, while Tonganoxie stands at 8-0, 2-0, believed to be its best start since at least before 2000. Tonganoxie lost its final four home games in ’15 and is 8-0 at home at since. The Chieftains have used a 4-2-5 look all six seasons under coach Al Troyer, a longtime assistant in Texas and formerly the Larned coach. Tonganoxie opened 3-0 in 2016 before a 2-4 injury-plagued finish. The Chieftains have an average score of 40-8, including a victory against Bonner Springs. If Tonganoxie wins, it clinches the outright conference crown. “They return a lot of seniors, and they are playing kind of like a senior-laden team’s going to,” Stallbaumer said. If Bashor wins, it’s a three-way league tie between the Bobcats, Chieftains and Bonner Springs. The Bobcats have won the last three in the series, though the combined point total hasn’t exceeded 39 in any of the games. In ’16, Tonganoxie quarterback Mason Beach had 964 passing yards with a 13/5 TD/INT ratio before he suffered a season-ending collarbone injury in Week 5. Zac Morgan, the defensive leader at free safety, played in just six games before he separated his collarbone. This year, Beach, a senior, has stayed healthy and completed 60 of 127 passes for 934 yards with a 16/6 TD/INT ratio. Morgan, a senior, leads with six passes defended. They’ve helped the Chieftains deliver a plus-9 turnover margin. Senior Dalton Bock has nearly quadrupled his rushing output and leads with 129 carries for 1,242 yards and 11 TDs in just seven contests. A sprinter, Bock has read holes well. “Once he gets out in the open, he is hard to catch,” Troyer said. Tonganoxie has had some injuries and Troyer has been impressed with junior Korbin Riedel (713 rush) and sophomore lineman Cole Sample filling roles. Riedel, a smaller, shifty back, had just 42 yards in ’16. Offensively, first team all-state defensive end Leeroi Johnson has moved to tight end. He also leads the defense with seven sacks. Sophomore linebacker Connor Searcy has team-best 58 tackles and TFLs after he didn’t see varsity time as a freshman. “From freshman to sophomore, he’s just matured in that year’s time,” Troyer said. For Basehor-Linwood, senior Kevin Hefton starts at nose tackle, senior Luke Willis returns at defensive end. Junior end Jace Friesen and another teammate shared snaps at end in ’16. Friesen is now a full-time starter and leads with 16 TFLs. Senior Joey Foster (team-high 62 stops, 13.5 TFLs) and junior Nolan Ford (11.5 TFLs) are both returning starters at outside linebacker. Senior T.J. Williams is a returning starter at middle linebacker and has 54 stops. Last year, he was up for the Bobby Bell award as one of the best small-school defensive players in the Kansas City area. Senior Tyler Cunningham has stepped in well at inside linebacker. The secondary had four new starters, led by six interceptions from junior free safety Kyle Alcanter after he recorded three in backup duty in ’16. The defense has helped an offense that’s battled inexperience and injury. “We definitely had to start over offensively,” Stallbaumer said. Ford leads the offense with 80 carries for 764 yards and 10 scores. Senior quarterback J.C. Watson was hurt in the first quarter of Week 3 with a high ankle sprain and junior Dylan Mussett had to step in. Watson, who also has returned two kicks for scores, came back last week. In ’16, Watson had a critical 80-yard kickoff return to K.C. Piper’s 3-yard line in a comeback district victory. “We definitely understand that having somebody back there that dangerous helps field position-wise a ton,” Stallbaumer said. Basehor-Linwood has a collective 7/11 TD/INT ratio and had used a more ground-based approach the last four, five weeks. The Bobcats opened the offense back up some in Week 8 and continued to run well. Basehor has had a couple of recent injuries to its center and right guard.